Effective proton pump inhibitor for rapid resolution of heartburn. Alleviates postprandial and night time heartburn. Rapid onset of action due to increased bioavailability. Tolerable,safe,and efficacious in the treatment of duodenal ulcers. High rate of endoscopic healing of reflux oesophagitis. Prolonged and greater suppression of gastric pH than 20mg/d Omeprazole. 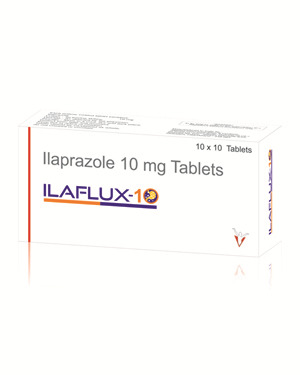 Exhibits lower incidences of adverse drug reactions(8.5%) compared with omeprazole(11.5%).